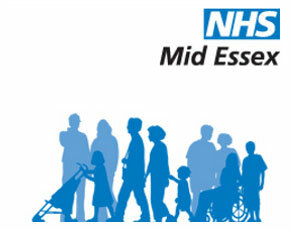 Mid Essex Hospital Services NHS Trust - CAS Ltd. Implementation of a voice over internet protocol, (VOIP), both across the retained estate and within the new private finance initiative (PFI), building at Broomfield Hospital. Delivery of a new integrated voice recognition, (IVR), platform. Implementation of a new N3SP voice network service. Decommissioning of ICT services at hospitals ear marked for closure. The project most recently completed, though, was the implementation of a Distributed Antenna System, (DAS). It became essential for MEHT to overcome some serious mobile service issues experienced by everyone entering the new-build facilities at Broomfield Hospital. Many of the materials used for insulation had a side effect that obstructed phone signals. Cladding materials used on the outer walls, with metal bases to keep heat in, combined with reflective double or triple glazed windows act as unintended communication barriers. Additionally, the excessive quantity of steel in the building frame created a ‘faraday cage’ effect, stopping phone signals. MEHT received numerous complaints about the lack of mobile service from patients, relatives, suppliers and all staff, and urgently needed to find a solution to overcome the issue. All NHS institutions have an obligation to enable patients to stay in touch with friends and family, as stipulated in Government guidelines on mobile usage in NHS facilities, published by the Department of Health in 2009. After consultation with CAS, the decision of the MEHT was to look for any available options to overcome the lack of adequate mobile signals at Broomfield Hospital, especially within the new PFI building. The decision reached as part of this investigation was for the trust to implement a ‘Distributed Antenna System’, (DAS), which, at the time, was a very new solution, not only to the NHS, but to the United Kingdom. A DAS is a series of inter-linked nodes which together comprise and perform the same functions as a high-power single antenna. But because they are distributed around different areas of the facility they are installed, they lose less power and signal strength attempting to penetrate intervening walls and other obstacles. And as a line-of-sight channel is more frequently present, they experience reduced fade depths and delay spread. The supplier identified to provide and maintain this new DAS solution was the Herbert Healthcare Zinwave DAS. Herbert Healthcare is one of the main Zinwave’s DAS distributors in the UK. The Herbert Healthcare, Zinwave DAS, is an in-building wireless coverage system unique in that it is the only wideband active DAS on the market globally that is frequency-agnostic; it supports multiple services and frequencies between 150MHz-2,700MHz, without discriminating by protocol or modulation scheme. This means the same hardware layer is capable of supporting multi-operator services (e.g. 2G and 3G from O2, EE and Vodafone). Additionally, Zinwave’s DAS is formed of fibre-optic cabling and the Trust, supported by CAS, needed to seek agreements with the Trust PFI management company, to allow for Herbert Healthcare to install the new fibre cabling infrastructure throughout the Broomfield PFI Hospital building. Following this agreement, survey and planning the new fibre cable infrastructure was installed with minimal disruption to the Hospital. CAS worked with the Trust overseeing some of the negotiations, with the 3 main mobile service operators, (Vodafone, O2 and EE). O2 were the first to agree the commercial and technical specification with Herbert healthcare for the Zinwave DAS deployment at Broomfield Hospital with Vodafone and finally EE agreeing a short time later. It was late February 2015 that this new DAS/mobile service went fully live at Broomfield Hospital and so far has proved to be a great success, with full penetration for all mobile signals now throughout the new PFI building. The DAS has proved so successful that other NHS Trusts, and commercial organisations involving very large, compartmentalised structures like shopping malls or stadiums, have shown interest in instigating a similar solution.